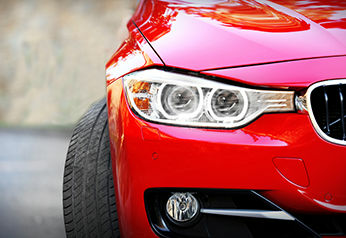 When you’re choosing upgrades for your car, one of the highest impact (but most overlooked) components are your wheels. Here’s why. 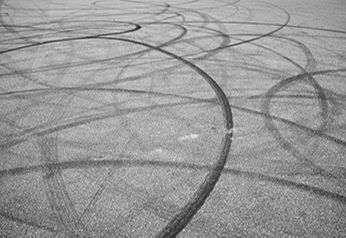 Wheels are the magic that make cars work, by simultaneously reducing friction from the ground while providing leverage to drive the car forward. Wheels transmit the power from your engine to the ground. All your capability in acceleration, braking, or handling is ultimately limited by the strength and precision of your wheels. 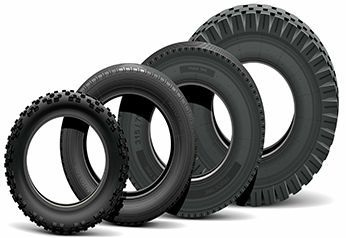 Your wheels directly support all your vehicle’s weight, without any suspension or shocks. For the average passenger car, this means each wheel is supporting 1,000 lbs of mass. Because wheels are so vital for the fundamental operation of your car and support so much weight, choosing better wheels is one of the best upgrades you can make to your vehicle. It’s easy to get lost in the woods when searching for an appropriate size, make, and style of wheels. The most important choice you have to make is between the two main categories of wheels: alloy and steel. 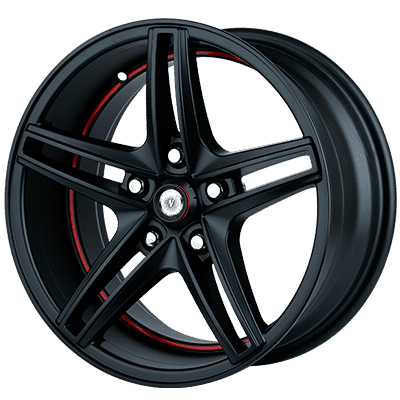 Alloy wheels: lightweight, stylish, and high-performance Alloy wheels are usually cast or forged from a mixture of aluminum and nickel, magnesium, or other metals. Aluminum is used for wheels due to its very light weight, while also offering a compromise between strength, durability, and cost. Alloy wheels are usually cast or forged from a mixture of aluminum and nickel, magnesium, or other metals. Aluminum is used for wheels due to its very light weight, while also offering a compromise between strength, durability, and cost. The structure of alloy wheels makes them much lighter weight, allowing you better handling, lower unsprung mass, better fuel economy, and excellent heat dispersion. Alloy wheels are best suited for sports cars, show cars, and ultra-high performance vehicles. Alloy wheels are also favored for their appearance, offering more freedom for customisation in spoke styles, as well as finishing, polishing, and painting. Alloy’s lighter weight also makes it an excellent choice for larger diameter wheels (16” and up). Although they’re great for high performance applications, alloy wheels can be less durable. Alloy wheels are more expensive. Steel wheels are much more widespread, and common as OEM (Original equipment manufacturer) equipment. 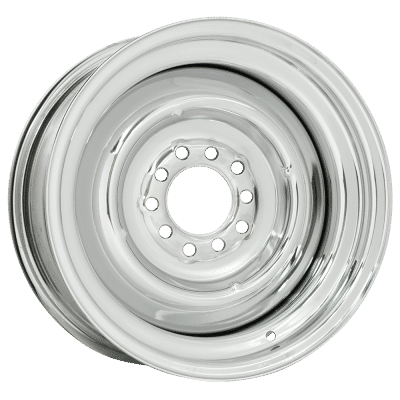 Steel wheels are made from being pressed and welded into shape, making them extremely durable, affordable, and easy to repair. 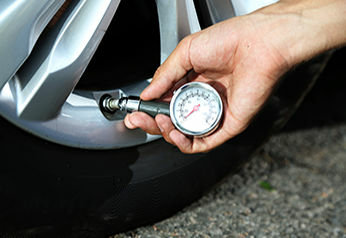 Steel wheels absorb more shocks and impact, and are more flexible than alloy wheels under stress. Steel wheels contribute a lot to your vehicle’s unsprung mass, giving you a lower center of gravity (aka, driving like a tank). This can be beneficial in driving in wet or snowy conditions, where you may want a more secure feeling ride. Overall, steel wheels are more suitable for driving in snow, all-season, off-road, and heavy duty applications. Steel is durable, cheap, and great for no-nonsense driving applications. Steel keeps your car on the road, works in all seasons, and is much more resistant to impact, shocks, and stress. Alloy is more suitable for agile high-performance driving, and is more stylish and attractive for show cars or customisations.